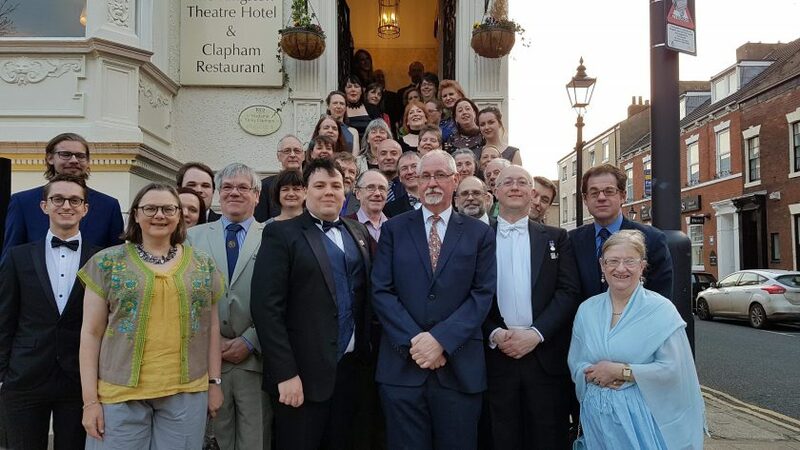 Bookings are now open for The Tolkien Society’s Annual Dinner, which will take place on Saturday 6th April as part of our Springmoot and AGM weekend at the Ambassadors Bloomsbury Hotel in London. The semi-formal Annual Dinner has been held annually since 1972 and we invite a Guest of Honour to deliver an after-dinner speech. The dinner takes place immediately following our AGM, and previous speakers include Priscilla and Michael Tolkien, Tom Shippey, Ted Nasmith, Alan Lee and John Garth. This year’s speaker will be announced soon. The dinner itself will take place on the evening of Saturday 6th April at the Ambassadors Bloomsbury Hotel. For more information on the Springmoot weekend, visit the event page. Members can find details on the Annual General Meeting in Amon Hen or the Members’ Area. The dinner costs £36 per person. For all booking queries, please contact the Bookings Officer, Francesca Barbini. Bookings will close 22 March.